How do you knock-out the background when you Render to Picture in MMD? Can pictures be transparent? How do I save pictures in MMD? How can I do like a Green Screen effect in MMD? 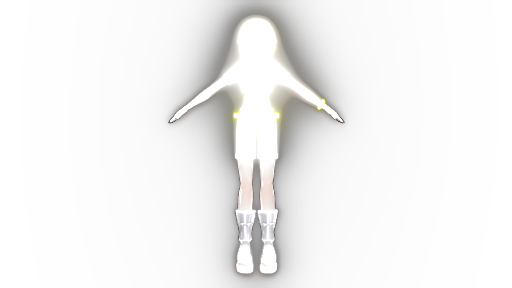 You may have wondered how people make so many transparent pictures of MMD so easily. This is useful for multiple purposes and gags. You can even replace the background with anything you want! First, you want to change your current background to black. This is a step that is easily forgotten. To do this go to Background(B), and click on “Black Background(D)” After clicking this you should see a check by it and you will also see, that of course, the background has changed to black! This black background “disappears” when you save the file as a PNG. The next step is too get rid of that pesky green line that shows you where your model is on the map. To do this, go to View(V) and click “Display Coordinate Axis(G)”. This should UNcheck the box, and you should not see a green line running down the middle, or any boxes on the ground. It is extremely hard to remove this from your picture with editing and you will most probably want to restart the picture. This is an optional step, it depends on what you want in your photos. Ground shadows are essentially just the shadow of the model that would occur in real life if lighting was reflected off of a person. However, if you do not want this in your photo you should take it off before continuing. To do this go to View(V) and click on “Display Ground Shadows(S)” to uncheck it. You should not see a shadow on the ground and the box should be unchecked. This is a very important step. If you forget and save it as a bmp file, the background will be black. Firstly, go to File(F) and than “Render to Picture File(B)” Before saving the file it is important that you change the format to .png . You can do so by clicking on the bottom box under what you are naming the picture. Can I do this with an AutoLuminous on? Like, is there a way to have a transperent background with AL effect? Cuz I’ve tried, but it renders with a white background.. I just did it and it rendered it with AL and the transparent background. Did you forget to turn the background into black, per chance? Did you use other effects too? why can’t it be transparent if the screen size too big?? Actually, the background could be either black or white. It’s the PNG graphic format that causes the background to be transparent. Most sites such as Youtube automatically have a black background in their player, so if you upload it will be transparent but it will look like it has a black background. well…how can you have a transparent background in videos?? ?that will be weird! The Raw Avi IS transparent if you have the white background on. so yeah videos can have a transparent background. It’s just that when uploaded anywhere it won’t show. But if you’re like me and then convert the avi to picture sequence in premiere then all the frames from the video have transparent background. That’s how you;d make animated sprites for 2D games. You may try to use skydomes instead of static backgrounds… they are in essence accessories, so their transparency can be adjusted with Tr setting of AMP panel. Is there a way to use this for videos? That’s what it’s all about! Search YouTube for MMD … tens of thousands of them!